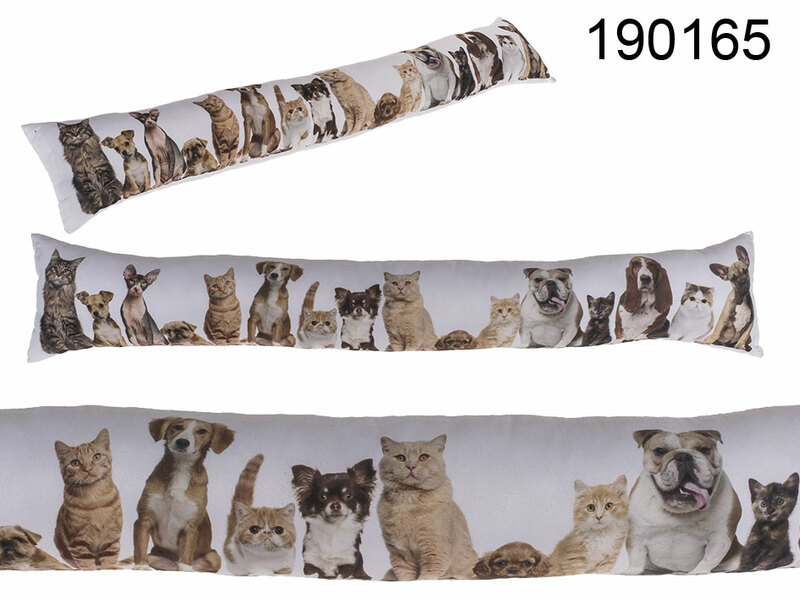 White decorative cushion with cats and dogs theme. Door or window draft stopper - keeps the cold weather outside. Perfect decoration for your home or porch. Stylish gift idea.